If pictures are words, this is an epic novel in the tradition of Dickens or Tolstoy. Read carefully and bring along the tissues so that -when you reach the final chapters -you won't leave the pages damp, as I did. 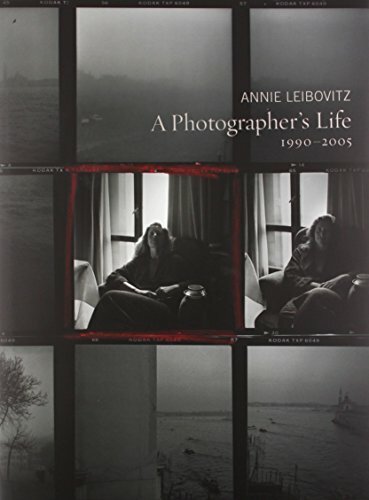 I waited in anticipation for this book's release.It was worth the wait.Annie Liebovitz, one of the world's most talented photographers, has released a book that will touch even those who have a limited interest in photograpy.From the opening pages to the closing pages, it's very evident that this is not just another Annie Liebovitz release.Instead, it's a special edition from her heart and soul.Whether it's photographs of her family and friends or famous people from throughout the world, she tells a story that you will not easily forget. 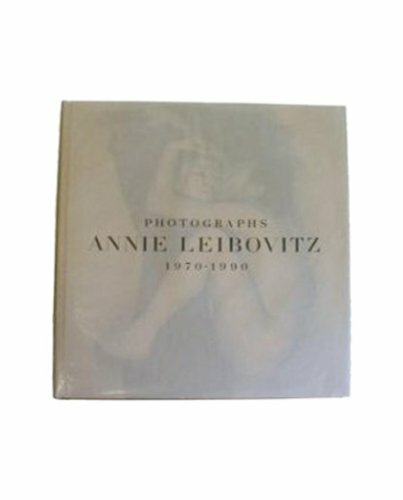 Even if you aren't into photography, you can certainly appreciate the quality, professionalism and beauty of Annie's work.She's one of the most trusted photographers around and she's been in the business for so long doing amazing work.This book is delightful to look at. by "Harry N. Abrams, Inc."
As other reviewers have said, the photography is top notch.I will focus my review on the difference between this book and his "classic", A Child Is Born.When I was deciding on my purchase I did not know which book would be better for my purposes, so I hope to shed some light on that for others. Lennart Nilsson took the first image of a living human embryo in the 1960s and stunned the world.Now, Life is an absolutely amazing book of images documenting human life from DNA through fetal development and birth.The second half of the book focuses on the human body, it's organs, tissues the things that eventually threaten life - bacteria and viruses. Beginner to Intermediate Book for great results. 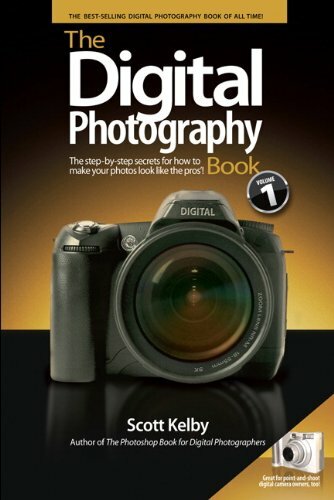 This is a wonderful book for beginning and intermediate photographers who want to know the tricks of the professional photographers out there.Although this book could be useful to those with pocket digital cameras, I believe this book is best suited to owners of DSLR Camera's. I have been in photography for over 20 years. This book is the best document covering "How to do it" I have read in years. Great for beginners and intermediates alike. An excellent book providing all of the basic knowledge anyone could want on the subject of photography. A bit expensive, but the quality of the pictures makes it worth the price of admission. Am I the only one who found this jumbled and confusing? Sure this book has EVERYTHING you need to know about photography and how to develop things, but these people know NOTHING about layout design.I just don't know where to look, where to read, and what to do next.If I didn't have an instructor, I wouldn't know what to do with my camera.It is very hard to find what you need in this book, much less go through a chapter.For people wanting to learn about photography, may I suggest the much cheaper book by National Geographic?It has much more clearly defined chapters though it does not have as much information overall (for example, no information about how to develop film). i don't usually rave over books but this one far exceeded my expectations. 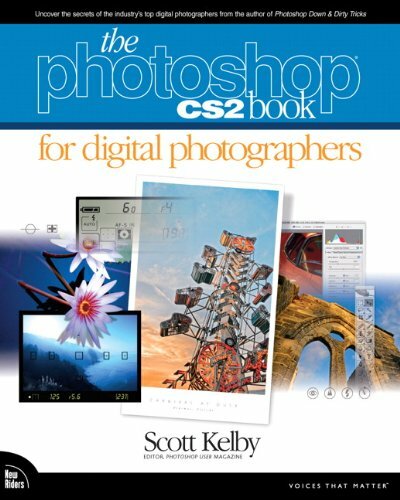 my whole workflow has been improved not to mention the improvment my images have received after reading this book. I don't come from a photography background and photoshop tends to overwhelm me. But photoshop is unavoidable for me- my work is increasingly tied to my photographs. I had been suffering from repeat editing, redoing edits when i would learn new tricks and generally stumbling thorugh photoshop as an absolute novice. But now i feel confident to really do it right in one session and move on. The chapters and sections are well laid out and to the point (despite the sometimes rambling jokiness). After a once-through I know where to look when i come across an issue. His writing style may be a little cutesy, but most of that is concentrated in the chapter intros which you can safely skip - there's absolutely nothing about photo editing in the chapter intros. They don't even introduce the chapter. This is a great book, the style is easy to understand his tips. As a graduating film student who is working on a thesis film, I have come to rely solely on this manual.It has absolutely every bit of information that any aspiring filmmaker could need.I've come to call it my "Bible" of filmmaking.Check it out!You won't regret it! Anybody who plans on working with REAL film should own this, learn it, know portions of it backwards and forwards and use it to their advantage. Also known as "The Cinematographers Bible", this thick hand-sized pocket book is an absolute must for anybody who owns or uses a 16mm, Super 16mm, 35mm, Super 35mm or 70mm motion picture camera (movie cameras). IT WILL NOT TEACH YOU CINEMATOGRAPHY! It is a technical manual to be used when shooting on film and has since become the industry standard book that most amateur and professional cinematographers own and use. 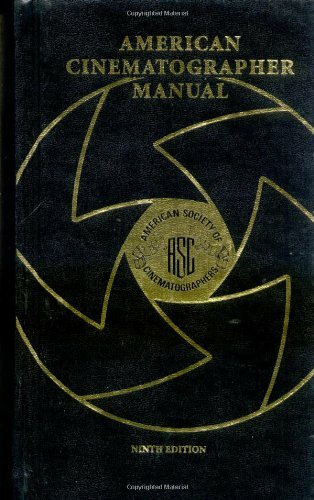 Motion pictures cameras are also built around the specifications laid down in this book. Quite a while ago, Nick Olmsted, a graduate of the U. S. Naval Academy, recommended that I read "Flags of Our Fathers." I am glad that I finally got around to taking his advice. 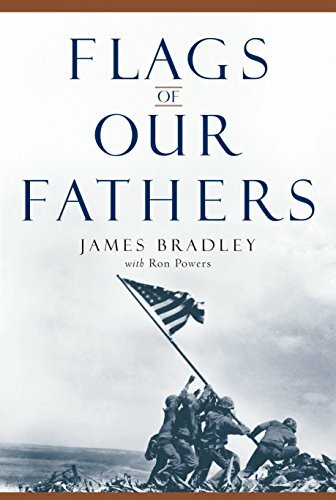 This story struck me on many levels at once, and this seems to be an opportune time to share some of my thoughts about this remarkable book, written by James Bradley, the son of one of the six Marines whose iconic picture of the raising of the flag over Iwo Jima riveted a war-weary nation. A hard book to read. World War II seems such a long time ago for so many of us. Most Americans today weren't yet born when it took place. For this reason, I believe everyone old enough to comprehend its stories should read this book. James Bradley and Ron Powers have written a heart-pounding record of the thirty-five bloody days it took to wrest Iwo Jima (Sulfur Island) from the Japanese. The photograph of the raising of the American flag on Mt. Suribachi (1/400th of a second's space in time) is recognized around the world. 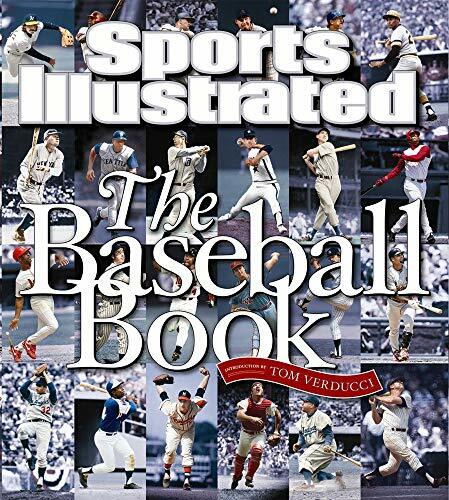 The men who raised it: John "Doc" Bradley (the author's father);Harlon Block; Rene Gagnon; Ira Hayes; Franklin Sousley; and Mike Strank became instant heroes (though Block, Sousley and Strank died not long after). Bradley, Hayes and Gagnon lived to tell the tale, though both Hayes and Gagnon would die with the pain of their experiences on Iwo Jima seared into their psyches to the point they could not live with it successfully. "It's funny what a picture can do":1/400th of a second in time. Do you need to edit and organize your photos? If you do, then this book is for you. 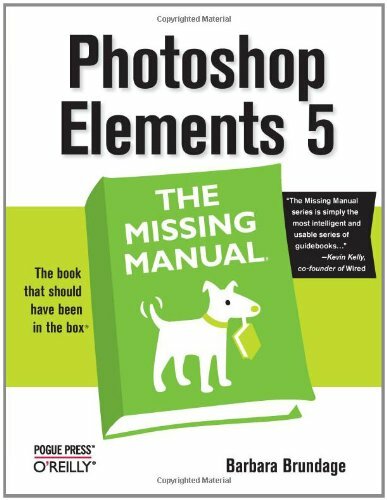 Author Barbara Brundage, has done an outstanding job of writing a book that is intended to make learning Elements easier by avoiding technical jargon as much as possible, and explaining why and when you'll want to use certain features in the program. What AGreat Trip down E Street ! This book is so much fun! It's sort of a "pop up" book for grown ups. The clever pull-outs, the repros of tickets & ephemera, the old newspaper clippings that show a YOUNG, YOUNG Bruce...it's all good!This is not only a very novel approach, but also an easy to read, informative scrapbook of Springsteen history.The wonderful, plentiful photos and out-takes include some superb shots (including the covers) by Frank Stefanko. i concur with the first reviewer - i too thought i had just about every book i could want on Bruce, but this one surpassed my expectations.Don't let the low page count deter you - this one is definitely worth the money.There are a ton of pictures i had never seen before (ones that very likely came from the band members themselves or members of their inner circle) and there are a lot of reproductions of interesting chachkies, clippings, documents, itineraries, setlists, etc. that are in little pockets throughout the book (akin to the inserts you got in the LP of The Who - Live at Leeds).The book begins with Bruce's first bands and goes all the way up to the latest reunion tours.The presentation is excellent - quality printing, binding, and beautiful thick stock slipcase.I paid around $24 for it and i'm extremely pleased - while not a narrative-heavy book like some others that run much longer, i'd rate this as one you'll want to add to your Bruce collection.Hats off to the author. I'm going to try to make this as helpful as I can without going on excessively. I don't know about you, but I sometimes become belabored by long reviews. 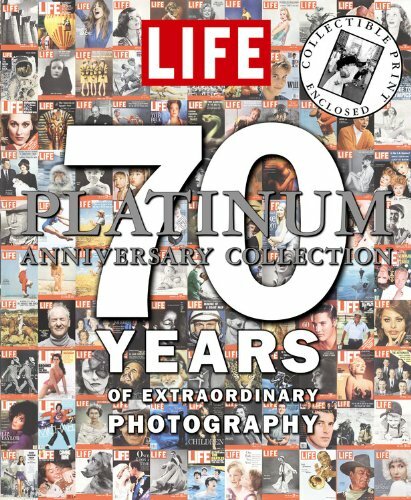 I picked up this book years ago when it came out.Outstanding photographs throughout.Since then I married and moved a lot of my books into an office.I recently rearranged my office and found the Leibovitz book and looked through it again.I still am impressed with the images even after about 5 years of not viewing them.Really a time capsule of collected photos. 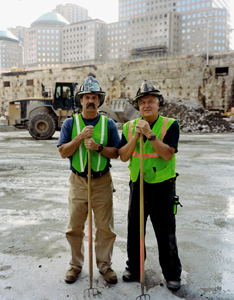 After September 11th, 2001, the Ground Zero site in New York City was classified as a crime scene and only those directly involved in the recovery efforts were allowed inside. 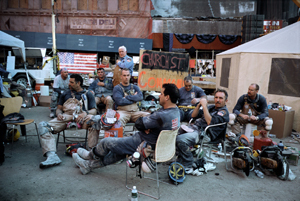 The press was also prohibited from the site, but with the help of the Museum of the City of New York and sympathetic city officials, award-winning photographer Joel Meyerowitz managed to obtain unlimited access. 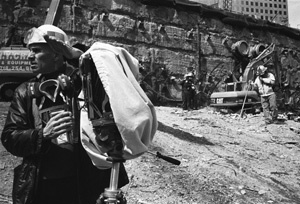 By ingenuity and sheer determination, he was the only photographer granted unimpeded right of entry into Ground Zero. 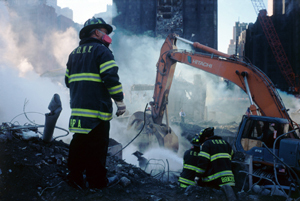 The images of September 11th are ones that are familiar to anybody in the western world and beyond. The death tolls as well as the political and sociological ramifications of these events on the following years and years to come have also been the subject of much discussion. 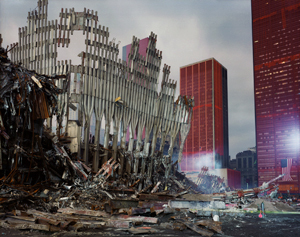 However the glory of Joel Meyerowitz's photographic collection is that it ignores all the larger political manoeuvering and focuses on the minutia. 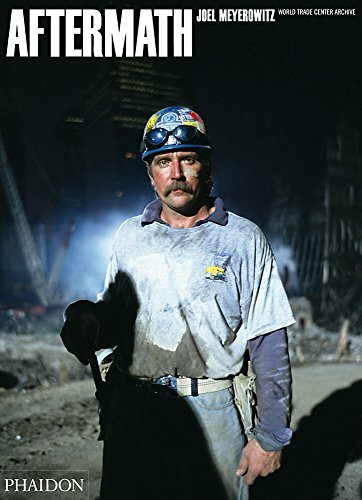 We still struggle with knowing how to think about the events of 9/11/2001 - and with how to depict them in the popular media. The reactions to the films "World Trade Center" and "Flight 93" have been all over the map. For some, it seems too soon to reopen the raw wounds that the tragedies of that day inflicted on our national psyche. For others, remembering the events and trying to make sense of them is part of the healing from those wounds. I bought this book for two reasons (a) I needed an overview of IP and (b) I wanted to examine different pattern analysis algorithms with a practical twist.On both counts, as an non-IP researcher, I was very satisfied.The book is very well laid out, so well in fact that it would put to shame many of its rivals.It served my needs.I can't comment on whether it will meet the needs of a broader community.I would certainly recommend it based on my experience. This book educates the reader in image processing and MATLAB.While I am experienced in both, I found the book to be an extrememly useful reference book for projects involving image compression and image representation.The book offered practical descriptions and useful code for computing the fast wavelet transform.It was especially useful in describing how the edges should treated.This is a big issue that other textbooks gloss over.I had never seen it described in a textbook, and it was described so well. The best of its kind. 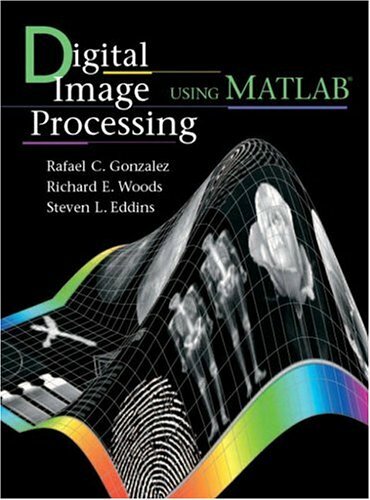 If you want to get up to speed on Matlab and plan to use it for image processing, this book is a must. 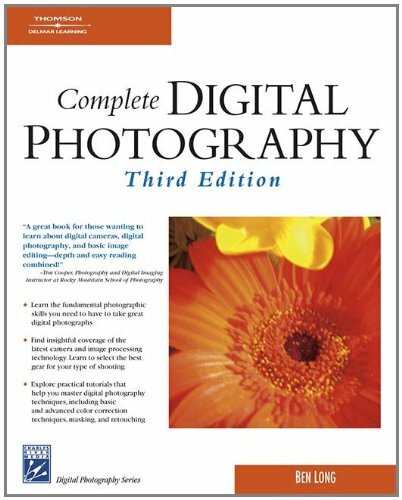 I have purchased this book twice, it is an introduction to digital photography, particularly for the fixed lense Nikon SLR cameras (such as the 8700) and SLR digital cameras.If you have a simple point and click camera you will get some benefit from the book but not as much. I got my hands on a copy of this book last night, and found it addictive. I noticed the raves from presidents of NPPA, ASMP, and APA on the back cover, and was impressed. Reading it last night, the book met, if not exceeded, the expections set by such prestigious reviewers. It was very real world, with tons of examples of contracts, negotiation tactics (as the author negotiated assignments and stock sales you see the back and forth via emails), and advice on how to avoid the many pitfalls we face as photographers today. I am putting to use many of his suggestions and recommendations starting tommorrow! A definite MUST HAVE book! 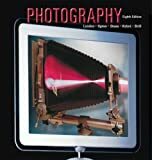 This should be the book that every photographer should keep on his desk for guidence for all there photographic business. I have been attending John Harrington's seminars in a variety of locations for the past 4 years. 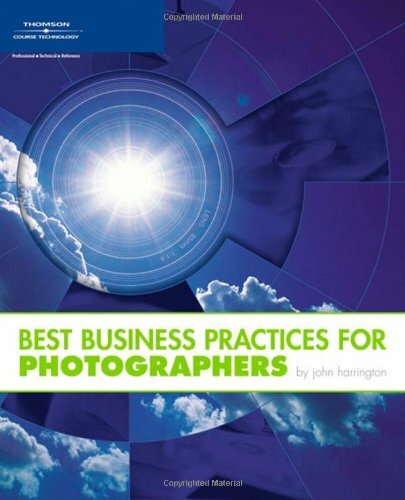 John's knowledge of the photography industry is second to none. In his seminars, John shares what used to be considered "trade secrets" by most other photographers. He captures what he's learned in nearly two decades of successful business and willingly shares it with photographers who can immediately apply to their own businesses what they've just learned. Andy Goldworthy clearly has an astonishing way of interpreting the world around him. I've grown so weary of photography books filled to capacity with picture postcard scenic overlooks and color-saturated closeups of bees on flower petals. Goldworthy embeds himself in the natural world; all the while remaining in touch with his surroundings, he visually articulates a wonderfully unique re-interpretation that is at once both fresh and startling. As a visual arts educator, I find this book to be a superb exemplar and asset for introducing students to ways of creatively thinking outside the box. 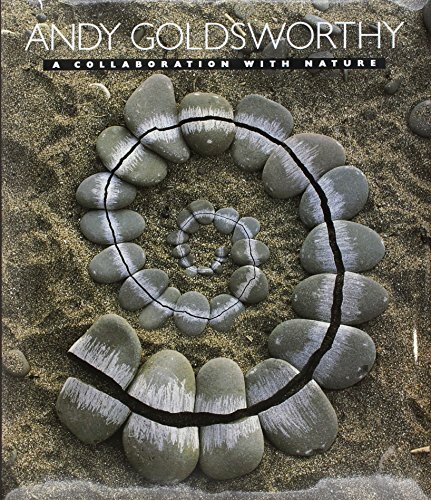 For me personally, I can go back time and again to re-examine Goldworthy's concepts, designs, and images and always find something new to admire. Beautifully reproduced, bound and printed, one word sums this book up: Wow. 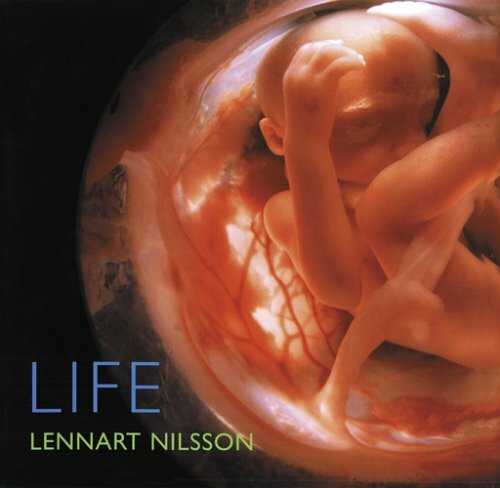 A fantastic review of the large capacities of a great built in nature. We havet not the time to be anoyed reading this book. So impressed that I buy another one to offer to someone special.